SFV-CAMFT - "New Beginnings: Annual Experiential Event"
"New Beginnings: Annual Experiential Event"
Edward will lead participants in transformative breathing techniques, postures, mediation and guided imagery that is sure to inspire and rejuvenate. 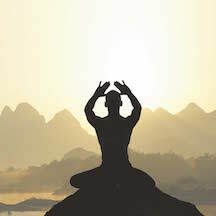 Qi means breath and is considered the life-force energy. Gong means effort and Qigong practice can promote self-healing and spiritual growth. Edward Sullivan, M.A. has been in the healing arts for 30 years. He continues to study with the Ni family, part of a lineage of 38 generations of Acupuncturists. As a practitioner of Infini Qigong (also known as Acupuncture Without Needles), Edward uses a combination of Chinese Medical Theory, Qigong movements, sounds, along with guided visualizations to help cleanse one's body of toxins and heavy emotions. to the event will be fully refunded. No refunds thereafter.